You are all set to narrate the tales from the Arabian Nights. You thought it was easy and maybe you are right. 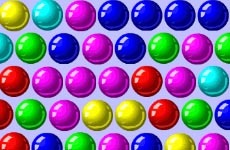 Start swapping the colored gems or items on the screens to make lines of three same colored ones. On doing so, the gems get popped out earning you scores. As you progress to the higher levels of the game, you might have to concentrate just a little harder to accomplish the tasks.